Dr. Possick graduated from Williams College in 1993 and Mount Sinai School of Medicine City University of New York in 1998. He completed his residency training at Yale New Haven Hospital in 2001. He served as Chief Resident from 2001-2002. 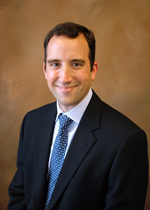 Dr Possick completed his Cardiology Fellowship at Yale New Haven in 2005. He is Board Certified in Internal Medicine and Cardiovascular Disease. His areas of interest include Cardiovascular Consultation and Evaluation, Nuclear Cardiology and Echocardiography. Dr. Possick is a partner with Cardiology Associates of New Haven, P.C.